With three huge shows under their belt, Love Moore Collective have announced the date for their next show, taking place at Edge, Luton. Love Moore is an art collective, based in Luton, focusing on the local area and raising money for those will benefit heavily from their fundraising. Through workshops, clothes sales, cakes sales, live performances and more, the duo are becoming one of the go to contacts for events in the area. On October 27th 2018, Saffron Long and Kelly Betts will take over the Luton venue once again to host a line up consisting of live music and DJs to raise money for charities of their choice. 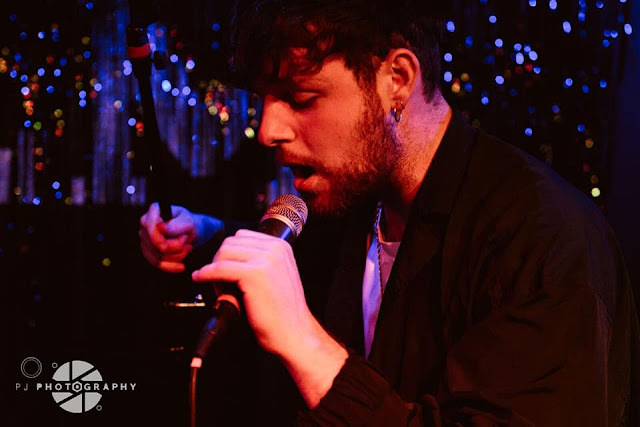 Their last one took place in May in aid of Centrepoint UK, and featured the likes of The Scruff, The Wholls and, secret guest, Tom Grennan. DJs included Radio 1Xtra favourites, Tru Fonix. Lady Bird, Mummy, Monarchs, Dinges, J.W. Paris, Sisteray and more are known to have played on previous line ups. While the line up for the gig in October has not been announced, with an alumni like the one listed above, it's a given that the next Love Moore show will be a star-studded event. Save the date and get ready to buy tickets, dance and raise money for a great cause. Stay up to date with their latest announcements via their Facebook or Twitter.